operación y de la instalación en cualquier momento. comprensibles de todos los valores importantes medidos. The wizards support the user in generating dashboards and reports. With just a few steps, meaningful dashboards related to a specific subject of electrical safety can be generated. 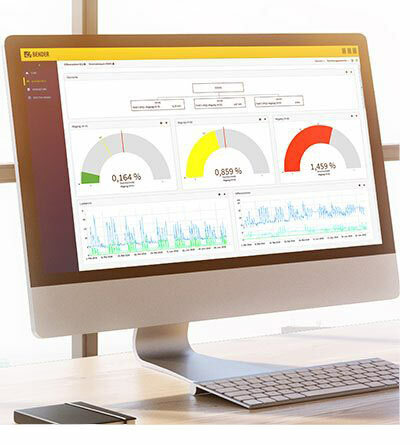 The commissioning wizard supports you in creating a dashboard that allows evaluating the level of the residual current at a glance. The ratio of residual current and load current is calculated. The wizard for stray currents indicates the system parts where excessive stray currents exist. The central earthing point wizard generates a meaningful visualisation for the user by querying the current at the CEP and the corresponding phase current. The excessive load on the neutral conductor challenges many system operators. The commissioning wizard evaluates the neutral currents and indicates whether they are too high. If you choose the Hosted model, we will operate POWERSCOUT® for you in a German data centre. We take care of updates and maintenance for you. If you choose the On-Premise model, POWERSCOUT® will be installed on one of your servers.